Excess weight in horses can lead to many health problems. A horse that is above their ideal weight will cause extra strain on their joints, which may lead to problems such as arthritis. An overweight horse will also find exercise more difficult, which over time may place strain on the heart and lungs. Many horses are prone to excess weight gain, particularly those of native breeding who are designed to survive on fairly poor diets. Identifying the reason for weight gain is an important part of treating the problem. If the source of the problem is not dealt with then any weight loss that is achieved may only be temporary. If a horse is receiving more than adequate food for the intensity of work that they are doing then weight gain may result. A hard working horse will use the energy in its food (both energy in carbohydrates and fat) for exercise before it is able to lay down any excess as fat. If there is excess energy in the amount of food the horse is fed then fat will be deposited. Cold weather (particularly if the horse is wet) will cause a horse to expend energy to keep warm, therefore if over-rugged then the horse will store any excess energy in their diet as fat rather than using it to keep warm. Exercise is a good way of initiating weight loss and controlling the build-up of body fat. As much turnout as possible is beneficial for many reasons including the fact that it enables the horse to move around a lot more then when they are stabled. If it is necessary to restrict the grazing of an overweight horse then it is advisable that they are still turned out for a period of time each day, even if it is only for short periods, or if the horse is restricted to a bare paddock. 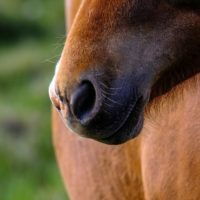 Depending on the time of year, the quality of the grazing and the amount of exercise that a horse is receiving, it may not be necessary to feed any concentrate foods. Certain breeds, particularly native ponies, are designed to survive on very poor quality feedstuffs, and often in harsh conditions. These types of animals, therefore, can often manage very well on little or no concentrate feeds (even if they are in work), especially if the forage is of very good quality. Performing a forage analysis will provide a more accurate view of the contents of the food in terms of crude protein, digestible energy, sugar, etc. The cleanliness of hay or haylage may also be analysed (by culturing the moulds). Reducing the total daily intake (in weight not volume) of food may be required. Feeding the correct amount for the desired body weight rather than the actual bodyweight will help weight loss. Care, however, must be taken if there is a large gap between the actual and desired body weight to ensure that no less than 1.5% of the horse’s (actual) bodyweight is fed per day, as this minimum is required to maintain gut integrity and provide the horse with the necessary nutrients. There are proprietary diets designed for horses prone to excessive weight gain and associated problems such as laminitis. These provide a well-rounded diet but minimise ingredients that are likely to result in weight gain. Any changes to the diet, particularly changes in ingredients, should be made gradually to allow the microfauna in the hindgut to adjust to the changes so that efficient digestion can continue. If attempts to reduce your horse’s weight do not succeed then speak to a vet for further help and advice. Excess weight can pose a significant health risk in the horse. 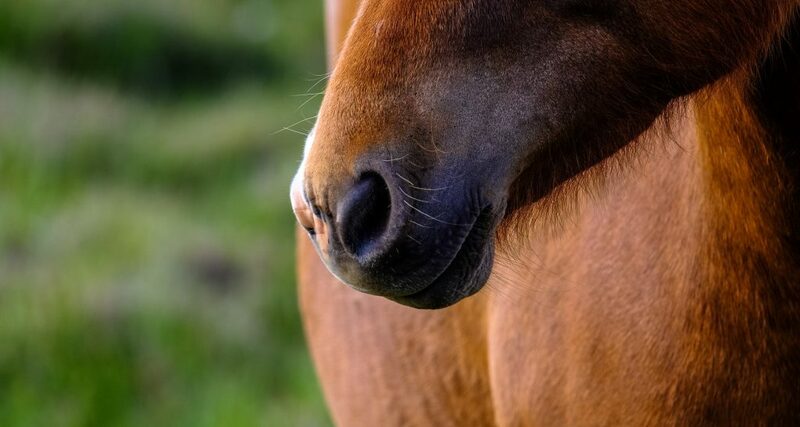 Laminitis, arthritis and general musculoskeletal strain are among some of the clinical problems that may result from the long term carrying of excessive weight. Maintaining your horse at their ideal weight is an important part of his general healthcare.